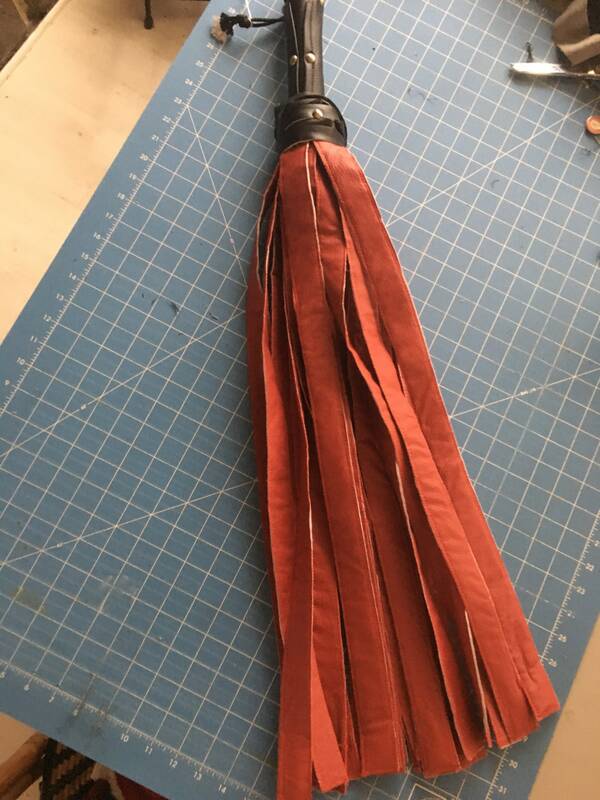 This Vegan Leather flogger is designed to be more intimidating rather than painful. Yes it will cause pain, but the length and width are more intimidating. Its lightweight so you won't tire yourself out wielding it for long periods of time. The Vegan leather is soft to the touch and also great for sensation play on top of flogging. This 23 in long super soft thuddy flogger has 23 , 1 inch wide falls with a black handle .